The 2016 holiday aprons have arrived! 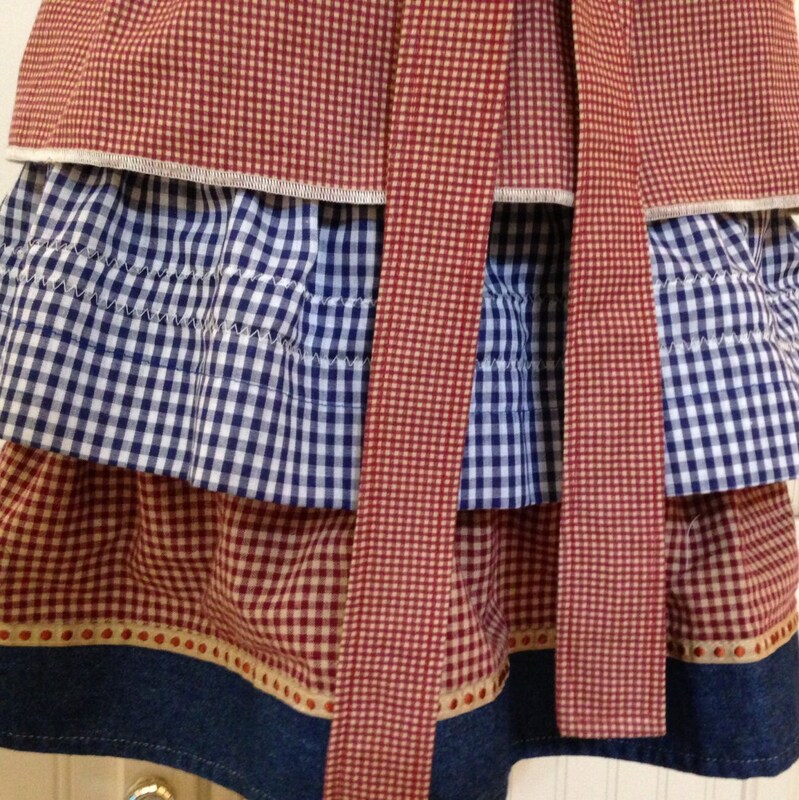 This ruffled apron skirt has a Burgundy gingham checked ruffle in addition to Blue gingham checked and burgundy gingham checked with denim trimmed ruffles. That makes three ruffled tiers in addition to extra long ties. 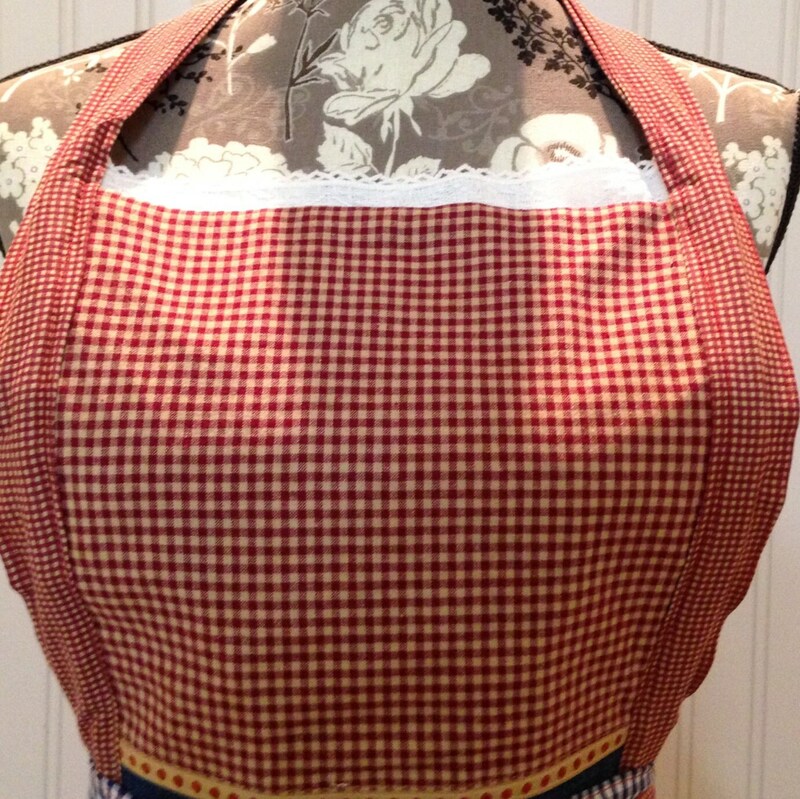 The apron bodice is button on and reversible. 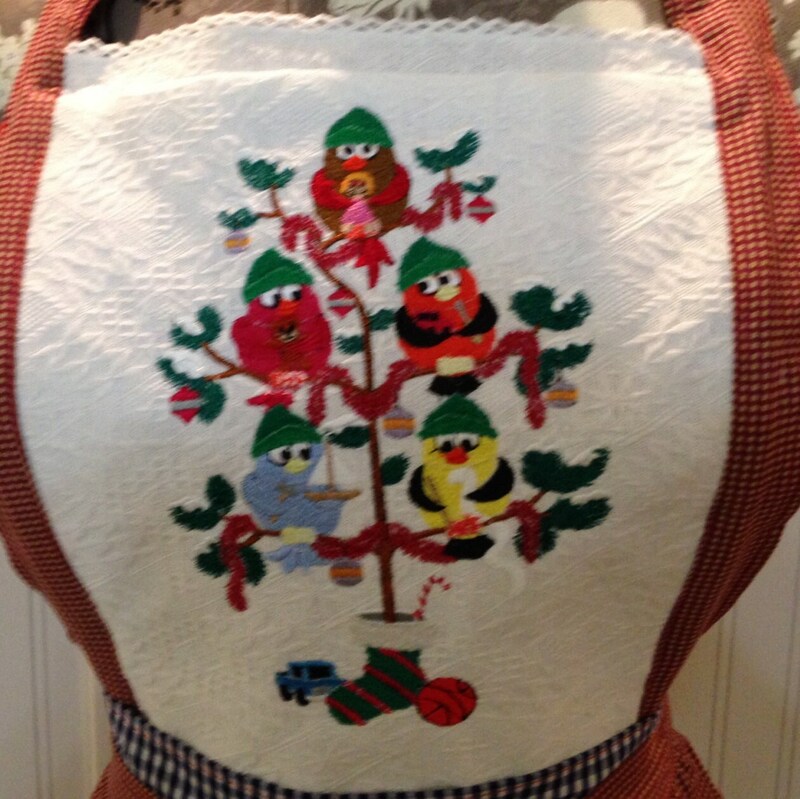 One side is white textured cotton embroidered with cute birds with their Christmas gifts sitting in the Christmas tree and the other side is the gingham check. Both of the bodice sides display a row of tiny white lace at the top. The square bodice is flattering to all figure types and has buttons that attach the bodice to the waistband. This apron can be worn beautifully by many shapes and sizes. It will fit petite to plus prettily. The waist tie can easily be worn in back, side or front depending on the cooks mood and style..
Order your holiday apron now and buy a second for a friend. 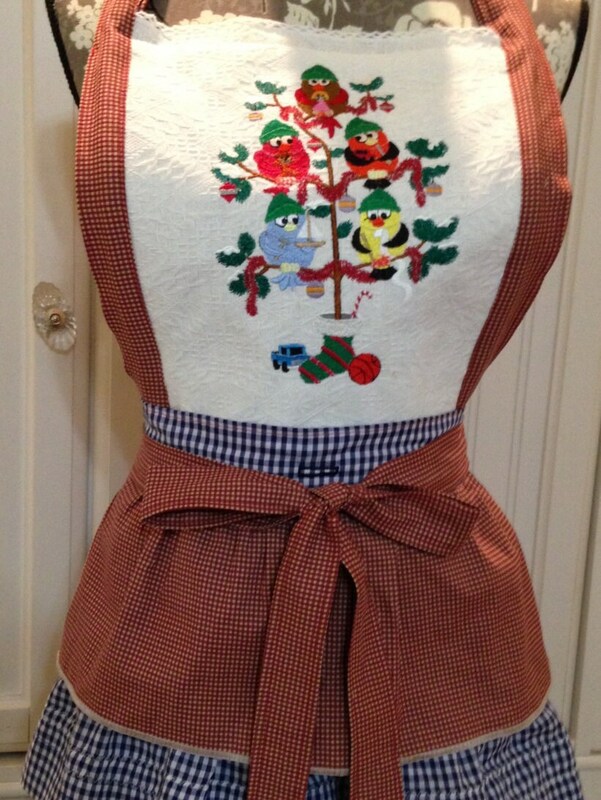 Watch for more button on bodices to extend your holiday apron wardrobe in style! These are destined to become a holiday legacy. 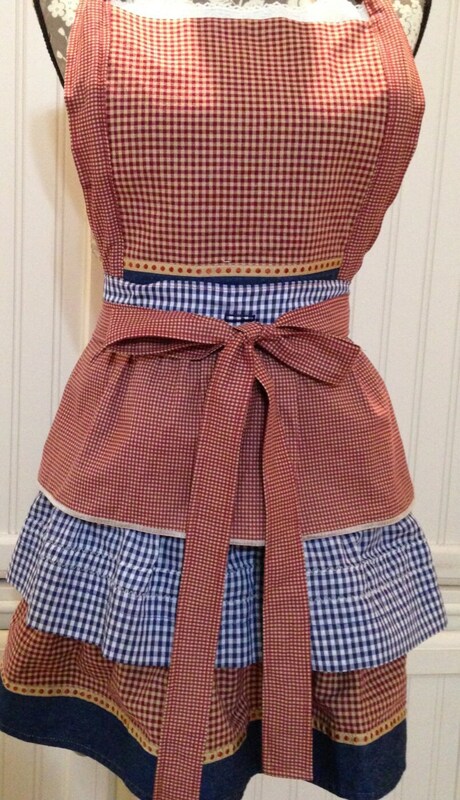 This apron is made from high quality pre-washed cotton.